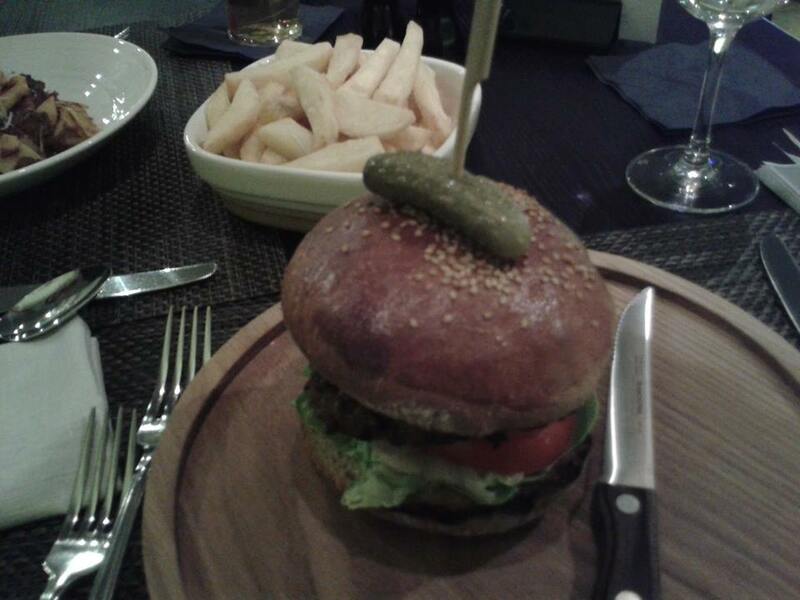 Our guest blogger Laura has once again had a delicious time! We were delighted to be invited to Bonbar, the recently opened bar and restaurant located in the newly converted ground floor rooms of The Assembly Rooms, near Central Station. We were excited to see what they had done with the space and how Bonbar would fit into the grandiose setting of The Assembly Rooms, and of course, to sample their evening menu! The decor at Bonbar is slick, trendy and almost exclusively grey, which we didn’t feel made the most of the existing features of the building, and may be a bit drab for our tastes, but did fit in with the contemporary style they were going for. Overall, it created a fairly exclusive atmosphere, which was enhanced by the professional and adept service we received and all the staff were very welcoming and friendly to us throughout the evening. At the centre of the room sits a grand circular bar, surrounded by spacious booths where you are welcome to enjoy an expertly prepared cocktail made by one of the trendy waiters dressed in their vintage stylings, or to sit back and savour a nice relaxed meal. The menu claims to be made up of simple, homemade dishes cooked well, and that is exactly what you will find here. While nothing on the menu was particularly surprising or unusual, everything we tried was excellent quality and presented with flair. We shared the chicken skewers to start, which came with a delicate homemade sweet chilli dip that was much more tempting than the bright red gloop you get from the bottle, and served to complement rather than overwhelm the pieces of succulent chicken. 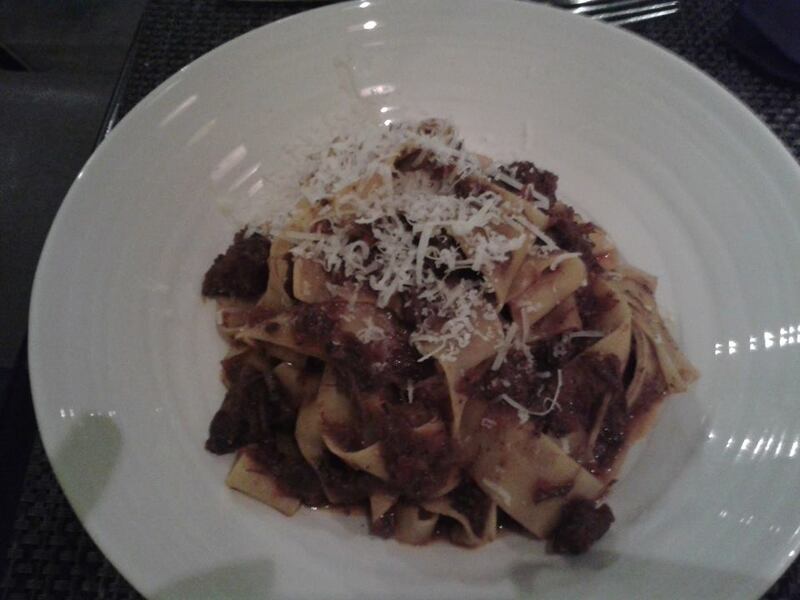 For our mains, we tried the papardelle served with chunks of tender beef cheek in a rich tomato sauce, which was better than most pasta dishes we’d tried at Italians, and also indulged in the mouth-watering Bon Burger which was served slightly pink and accompanied by delicious thick-cut chips. There are a range of interesting toppings on offer for your burger, besides the usual bacon and cheese options, so we chose the hazelnut pesto which elevated it to something quite special. The Bon Burger is a real treat and can stand proudly beside all the other handmade gourmet burgers Newcastle has to offer these days! 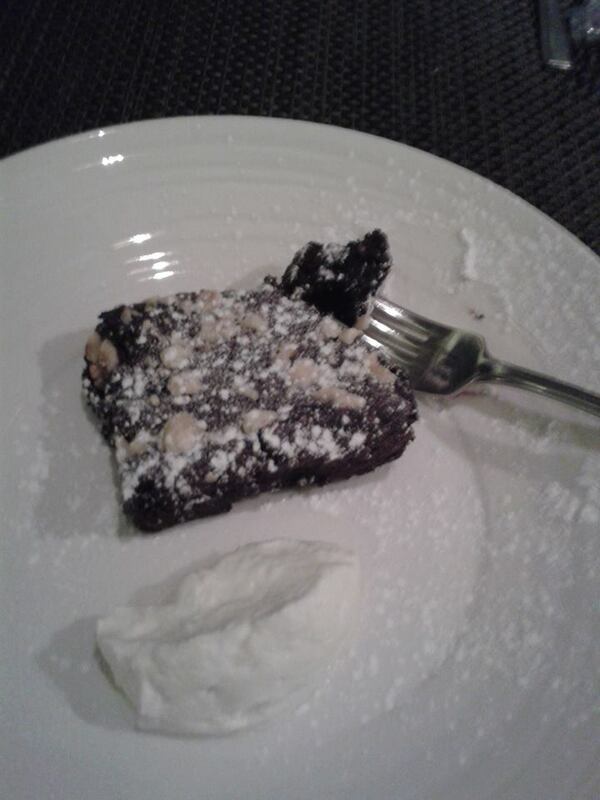 For dessert, we shared a warm, gooey chocolate and beetroot brownie that was a more grown-up take on the classic, containing a generous sprinkling of nuts and a flavour that was a little more dark than sweet. Although initially we weren’t overly excited by the menu on offer, by the end of the meal we were most definitely won over by the delicious, well-cooked food and would happily dine here again. Don’t be fooled by the simple menu; Bonbar is a wonderful place for informal dining and the setting is great for a fancy evening cocktail. You can find Bonbar at The Assembly Rooms, Fenkle Street (just behind Central Station).